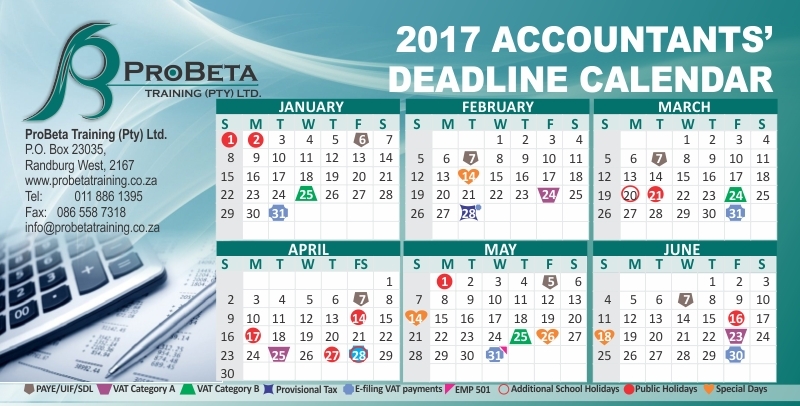 ProBeta annually provides you with the opportunity to personalise your own Accountants' Deadline Calendars for marketing purposes. 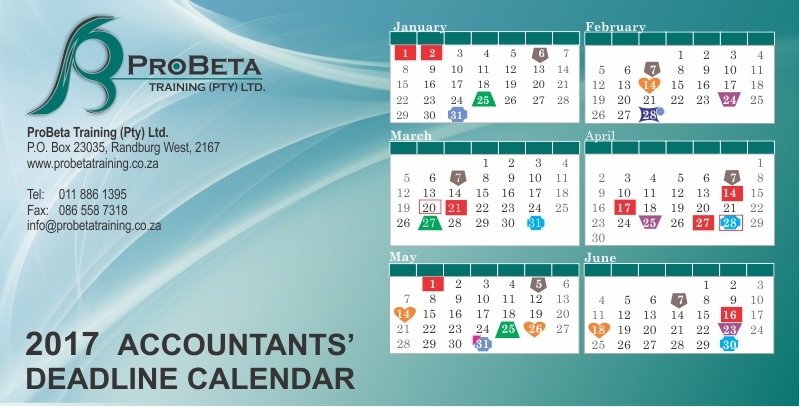 Other than standard calendars available in the marketplace, these calendars not only highlight the regular public holidays and school holidays, but also provide tax and accounting professionals with important deadlines. 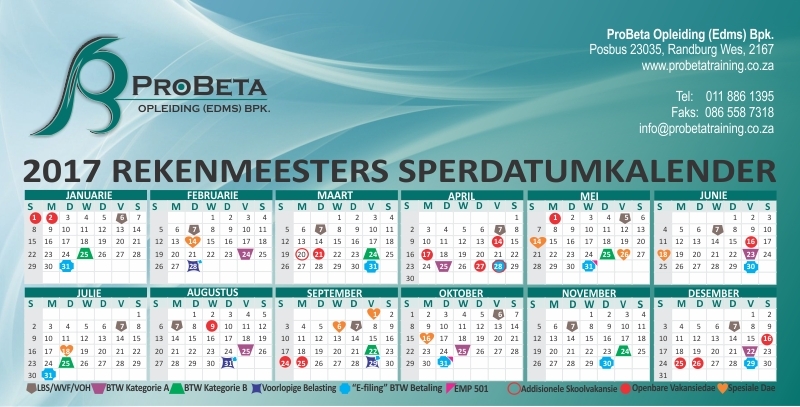 Important events are also noted on these calendars. Deadlines unique to the ProBeta calendars are PAYE, VAT and Provisional Tax. 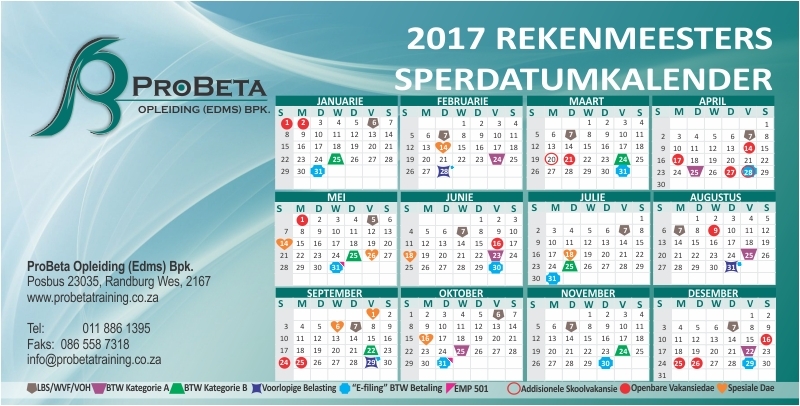 ProBeta sees to the production, as well as the design and printing of the calendars. All you need to participate in this great opportunity is to complete the order and upload your company's logo in the process. Our graphic designer will confirm the proofs with you and ensure that the designs meet your company profile.